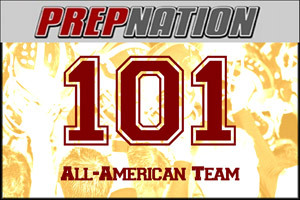 The team features the 101 top prep football players in the country from each season, as selected by PrepNation Editor and Publisher Jamie DeMoney. Game tape, all-state lists, sportswriters and other prep football analysts around the nation were consulted by DeMoney in making his selections. The first team was chosen in 2004.